Hard to believe we are now into the third month of the year already! The past couple of months I haven't really been trying out too much in the beauty department, instead, I have been trying to use up things I already own. That's not to say I haven't tried a few new things that have become fast favourites. I was sent this as a part of a lovely Christmas gift from The Body Shop NZ team and it came at the perfect time. This summer has been an intense one, so I have needed a really good SPF to wear daily and this has been my go-to. I have never found one that works really well under makeup, but this one is so lightweight and non-greasy that it sits under makeup so well. It is a milk to water essence with a very high SPF and also includes anti-oxidants, and red algae and vitamin C to brighten the skin. It has worked so well for me and will definitely be a staple product. 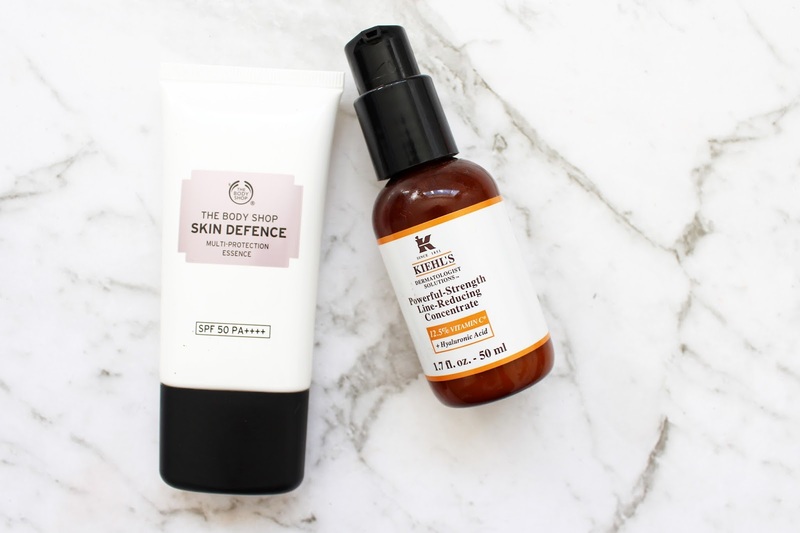 So it seems I have been all about the vitamin C products, and this new release from Kiehl's has become my serum of choice for the past month and a half. This is a serum with 12.5% Vitamin C inside to help visibly reduce the appearance of fine lines and wrinkles and increases the skins radiance over time. 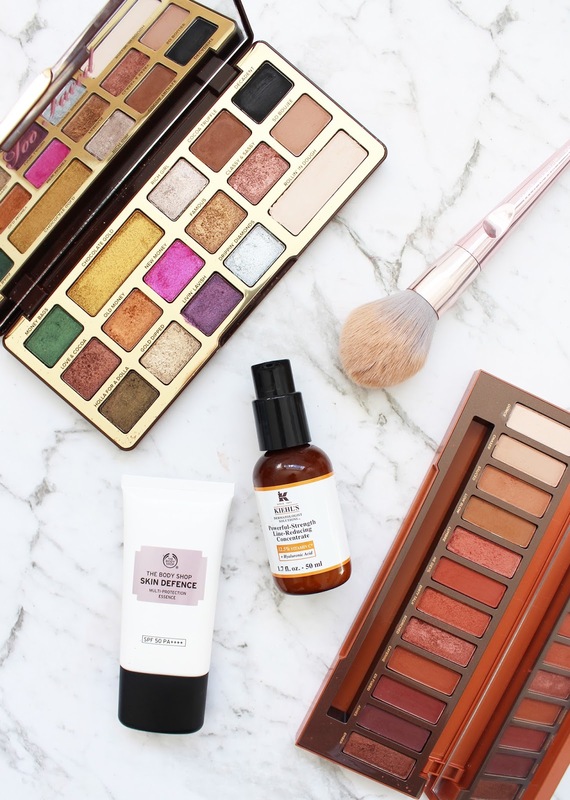 As I am getting near to my 30s I do notice the fine lines creeping in and I am all about the preventative side of things and honestly, this has worked well so far. There hasn't been a dramatic reduction in these fine lines but I find my skin feels and looks a lot more even and brighter. The morning after applying this, my makeup seems to go on so much better. It's formulated for all skin types, even those with sensitive skin. I have far too many palettes, they are definitely one of my favourite makeup items and I use eyeshadow daily so it's justified right...? I knew I was going to buy the new Chocolate Gold palette at some point, but on a visit to pick up my Beauty Loop box from Mecca Maxima, I also walked away with this as it was too beautiful to pass up! This is a stunning palette and great mix of shades inside that are all very usable and wearable. It is very shimmery and metallic, but there are a couple of good mattes to help blend everything together. I will have a more in-depth review with swatches up about this soon. 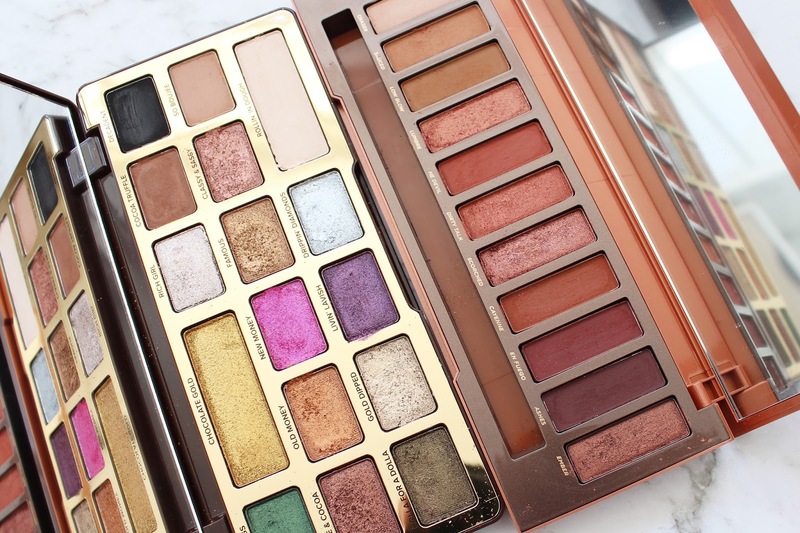 When I'm not using the Too Faced CG, I am reaching for this gorgeous palette from Urban Decay. My lovely boyfriend got this for me for Christmas (I picked it out), and I couldn't be happier with it. 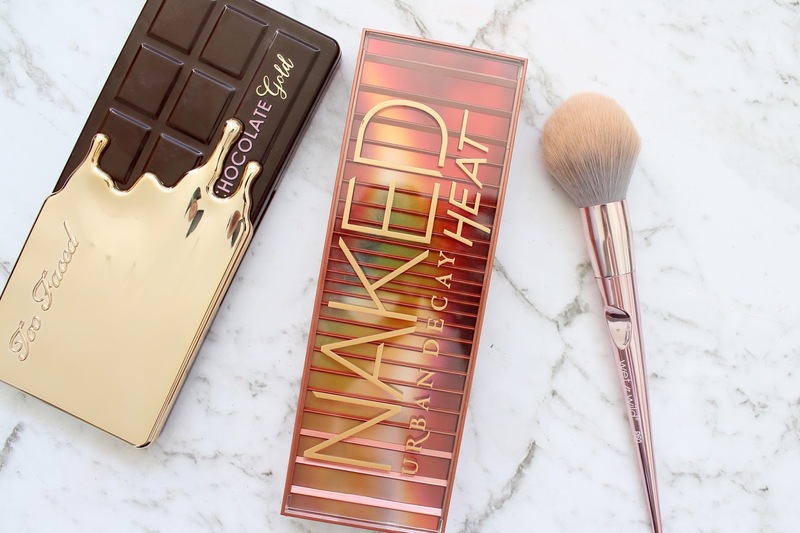 I love the UD shadows and these palettes never disappoint me - the Naked Heat is no different. I will also have a review up about this very soon. If you haven't seen my review on the new Proline Brushes from Wet N Wild, you should check it out now. These brushes are super gorgeous, very practical and so soft. They have synthetic bristles and are completely cruelty-free. Out of all of the brushes I have been using this one the most - it works well for powder but also works so well for bronzer (as you can see by the dirty brush!) I love how luxe these look, but they're very affordable for the quality. What are some products that have been your favourites?